Europe is freezing. 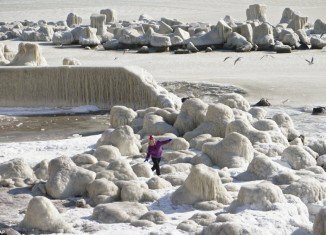 Black Sea is frozen on the Romanian coastline and 101 people died in Ukraine. Is Angelina Jolie pregnant with twins again? Kim Kardashian is secretly dating NFL star Mark Sanchez?